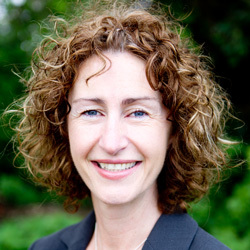 Sarah Elliott has been working in the Training Industry for over 20 years. She brings an infectious enthusiasm for both account-managing clients and hands-on delivery of specific Microsoft Office Training courses. Sarah’s background in IT helps enormously, as she is able to advise clients of the best route to take when designing courses to ensure maximum effect. After graduating with a degree in Maths and IT, Sarah gained her extensive experience working as a Training Manager for The Civil Aviation Authority. Elliott Training was developed in 1996, and since then Sarah has worked with a wide variety of companies, developing and nurturing client relationships. Her forté is to listen, advise and then deliver an exceptional training experience. Nina specialises in creating purposeful learning solutions for organisational and people change, for business growth and customer engagement. Nina draws on 20 years’ experience in a broad range of diverse business sectors such as Loss Adjusting, Construction, Manufacturing, Rail, Road, Water, Energy, Local Authorities, Hospitality and Retail. An experienced leadership trainer, coach, mentor, facilitator, assessor and verifier. Managing the quality process of funded and formal qualifications. Nina develops and maintained strong working relationships with key stakeholders and decision makers in the full spectrum of business activity from FTSE 100 to SME’s; these relationships ensure that business strategies succeed and ensures employees feel “Valued, Supported and Engaged”. As a licensed Insights Discovery® Practitioner, Nina uses a simple and accessible “four colour model” to understand an individual’s unique behavioural profile. Through such an understanding comes a deep insight into self and colleagues, focusing on preferences and behaviours. Experienced facilitator, trainer, coach and mentor in the full range of Leadership and Management skills. Customer Service, improving the experience and satisfaction of customers. Creating bespoke training programmes that incorporate organisational strategies, values and objectives. Quality management of formal and funded qualifications. Jacqui Turner is an award-winning Leadership Trainer/Coach, who has enjoyed a very successful career in Training and Management roles across Financial Services, Retail and Utility sectors. Achievements have included ‘Welsh Contact Centre Trainer of the Year 2014’ and a finalist in the National Contact Centre awards for the most effective training programme. She has had the pleasure of designing and delivering training for very prestigious organisations such as Lloyds TSB, HSBC, Dwr Cymru Welsh Water and Tesco. 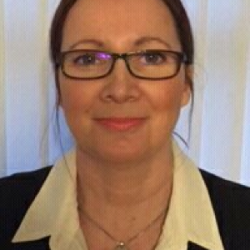 Jacqui uses her wealth of experience of working within Customer Service environments to design bespoke courses which focus on the skills required by all levels of employees and managers in today’s climate, where customers, quite rightly, expect an effortless and exceptional level of service. 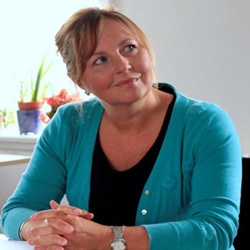 In addition to delivering memorable training programmes, Jacqui is also a qualified and experienced Coach. She is able to use her skills to help embed the training delivery, in order to ensure a high return on investment for the Clients she works with. 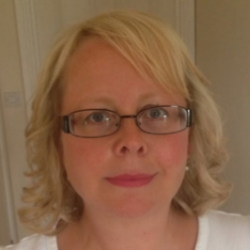 Jacqui works across the UK, designing and delivering Customer Service & Management training. She is also able to share her extensive knowledge and experience within L&D to develop individuals who aspire to work towards a Trainer role, through her engaging ‘Train the Trainer’ programmes. 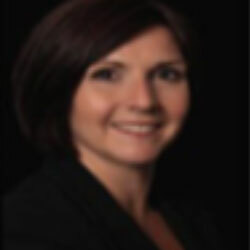 Louise is a highly motivated, business focused, HR & Development professional. She is a leadership coach and team facilitator. Louise has experience in designing and deploying talent & learning development programmes, organisational development, talent succession, strategic planning, acquisition integration, project management and external consultant liaison. Her key skills include networking to influence change, project management and highly organised, proven innovative and commercial abilities, communication and marketing. In the last 10 years Louise has been Head of Learning & Development at Endsleigh Insurance Ltd, Learning and Management Development Manager at Midas Group and Principal of Academy at Supporta PLC. Sophie has over 13 years’ experience as a people development specialist gained with blue chip companies such as Volkswagen Group, Centrica Energy, Three and Virgin Media. Associate clients include an international entertainment organisation, a UK based retailer and an international FMCG business. As a trainer and facilitator, she is experienced in designing and delivering a range of learning solutions to support behavioural change. As an Assessment and Development Consultant, Sophie regularly works on several competency certification programmes at Manager and Advisor levels for a major automotive client. Other assessment work includes a number of development and assessment centres for manager level roles. Sophie specialises in supporting individuals and teams with a wide range of development interventions to achieve their goals and high performance. Having worked across a diverse number of sectors, Sophie has developed a wide-ranging appreciation of organisational and people challenges. This appreciation has supported her in working with organisations with management and leadership development, performance management and organisational change as well as team building utilising psychometric tools such as Talent Dynamics, DISC, SDI, MBTI Step 1. Her experience also covers coaching of senior and first line managers. Jilly is a fully qualified consultant and has worked within the training environment since the early seventies. Working with organisations in both the public and private sectors she has developed and delivered a wide range of courses in management skills and personal development. She believes very strongly in running highly participative and interactive courses. Jilly has experience of training and coaching in a variety of industries and has worked in various countries including Cambodia, Finland, France, Germany, Russia, Switzerland and the USA. Jilly has worked with a number of organisations in both the public and private sectors including the NHS. This has involved both delivery of training on an IT based system for GPs all over the country and also a wide range of soft skills course to various PCTs including Sunderland, Leeds, Manchester and Liverpool. She has recently also delivered a number of courses for the BMA. She has been involved in the development and delivery of a variety of courses including a Customer Care programme for the Commission for Equality and Human Rights in order to develop their help desk and customer facing personnel. Also delivered a Customer Care programme for Leeds City Council Social Care and Leeds PCT. An experienced, professional and adaptable IT Trainer and Consultant with a proven track record of delivering solutions to high-profile clients in various market sectors in all the various Office suite of products. 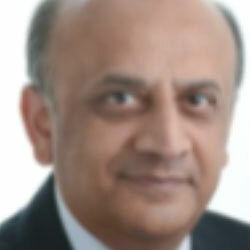 Proficient training consultant with over 25 years of training and technical authoring experience in the IT industry. Leanne has a breadth of experience in sectors including automotive, engineering, banking, and the pharmaceutical industry. She specialises in training and coaching leaders, managers and developing executives from both public and private sectors, working at all levels including Board Directors. 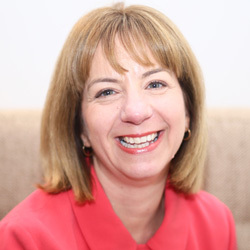 Leanne holds a BA Hons in Business Studies, a post-graduate diploma in marketing, is a qualified business coach and trainer, a member of the CIPD, an experienced lecturer and HR/People Development Manager. Roger has delivered training and supported employees on all aspects of Microsoft Office for the last 25 years. He can adapt all his courses to suit small and large size organisations (1:1 through to groups of 12). The level of all his courses that he runs range from Introduction to Advanced. Roger is our expert in “Bespoke Software Applications”, learning and then creating all course materials and deliver training throughout the UK. Roger brings a huge amount of humour and passion to all his training courses – some of our clients specifically ask for Roger. Kam is an IT professional with skills developed through broad experience spanning 15 years. He has the ability to work both autonomously and as part of a team. Kam is highly numerate and with good oral and written communication skills is our Excel guru and expert. He excels in analytical, data interpretation, applying creative thinking to problem-solving. Kam delivers on all aspects of Windows and MS Office. Kam has a huge skill in producing and presenting complex information as understandable reports and advise relevant to the various audiences. Kam is loved by everyone. John delivering hands-on training in MS Office applications (including VBA and SQL and Access, Excel, Word, Outlook, PowerPoint, Project all to Expert level), also consultancy/development/ problem-solving in MS Access and Excel. John has a huge amount of experience in developing Access databases from scratch, as well as upgrading existing databases in line with clients requirements. Simon specialises in teaching Microsoft Office (Word, Excel, PowerPoint, Outlook, Access and OneNote) products using all versions up to and including Office 2016 and Office365. An expert in OneDrive for Business, Yammer, Delve, Sway and Skype for Business. Experience in dealing with many different abilities and have travelled across the country delivering training to various clients. Always interested in MS Office migration projects involving seminars, webinars and face-to-face training. Also developing E-Learning content. 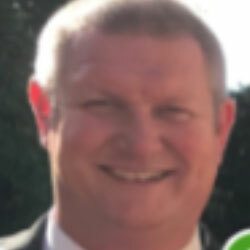 Gary is a first class trainer with 15 years’ experience in training and consultancy. He has an innovative approach to training that not only changes his delegates’ performance in the workplace, but has helped many develop techniques that can go beyond business to create change in other areas of their lives. As an NLP Master Practitioner and Trainer, Gary brings a different perspective on business skills to the professionals who attend his training courses. Gary has delivered successful programmes across the UK and also in Europe, India, USA, Thailand, Singapore and Australia. Gary encourages individuals to tap in to their own personal resources to bring out the very best in themselves, which ensures the delivery of high impact events. He has delivered to a wide audience from Charities to Private Banks as well as working with individuals to create lasting change. Sara is a people development specialist and a real asset to Elliott Training. Her development career has been established within leading companies including British Airways, the Woolwich Building Society, Compaq Computers and Zurich Financial Services. 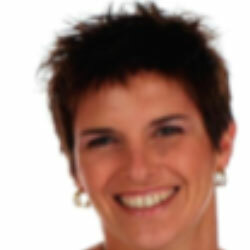 She has held a variety of training roles from International Sales Trainer to Head of Learning & Development. 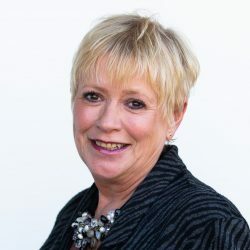 As an external consultant she has a proven track record of improving performance in over 80 leading UK and international organisations in most sectors including Financial Services, utilities, travel, retail, manufacturing, telco’s and the public sector. She specialises in developing the customer experience, improving sales, coaching and leadership and has designed and delivered a wide variety of training programmes throughout the world. These have demonstrably improved performance for companies including; American Express, Barclays, Tui, RBS, Hampton Court Palace, Sage, Nationwide, Rolls-Royce, Orange, Qatar Airways, British Gas, British Airways, Toni & Guy, Virgin, Emirates and Pfizer. She communicates exceptionally well and influences at all levels of the organisation taking into account all levels of experience, attitude and ability, identifying the best that each person has to offer and inspiring them to develop their performance. Management skills including appraisals, creating the motivational climate, building teams, communication skills, delegation, personal impact and presence. John is an accomplished management & leadership development trainer. 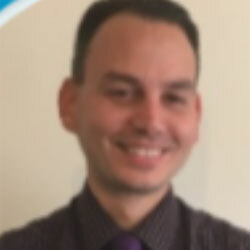 During his career, John has worked at senior levels with many major, multi-national organisations and has built an excellent reputation for delivering powerful results through his interventions. During the last 25 years, John has worked at senior levels within many major, multi-national organisations and has built an excellent reputation for delivering powerful results through his highly practical, interactive and participative training style. 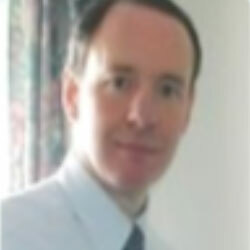 Based in Scotland, John consults extensively throughout the UK, Europe, the US and the Middle East. John has gained a successful and credible reputation for delivering highly impactful ILM accredited programmes for a variety of organisations, based in Europe and the Middle East. A commercially aware, articulate and results driven International Training & Development Consultant. John has an excellent understanding of current and best practice within a cross cultural people development arena. A highly effective leader & management skills trainer, who consistently achieves excellent results through the delivery of his programmes and workshops. John is an outgoing individual who motivates and wins the support of others effectively. HSBC Technical Services European Headquarters (HTSE) 2008/2010. – John was approached to design, produce and deliver a major senior management personal Improvement plan for every line manager (686) within the European Technical Services Division. The BBC (Bristish Broadcasting Corporation) – 2009/2012 – Over a period of 24 months, John has worked closely with BBC executives, including; Broadcast Journalists, Programme Editors and Producers for the BBC in London. This work has principally been in support of developing emotional competence of this senior team to align with their technical capability. Duncan qualified in 1987 as a civil engineer, and in 1994 as a project manager. He spent 9 years in the construction industry in various parts of Africa working on projects ranging from high rise buildings to bridges. He worked for Grinaker Construction – an international construction company – and during this period he was promoted from site engineer to branch manager, ultimately being responsible for up to 15 projects at a time. He has spent the last 11 years training and consulting on Project Management, Project Server and SharePoint Server to many companies; assisting companies to define and streamline their internal project management processes and then setting up project management systems to manage these processes. Duncan believes that by combining consultancy with training he can present a more accurate view of how the products can be used by organizations to streamline processes. Duncan has also presented seminars – on behalf of Microsoft Gold Partners – to business owners indicating how new technology can be used to make their businesses more streamlined, and how they can get the most out of the technology they have bought. Below is an indication of some of the Project Server and SharePoint Server environments Duncan has worked on. A full design, installation, configuration and training roll-out; for a design department (50 people) within BT, with the option to expand across multiple departments in the future (up to 200) without having to do a complete reconfiguration. All information needed for the project was gathered in discussion with managers in the company; and then summarized in a project document following the Microsoft Solutions Framework methodology. SharePoint and Project Server installation, customisation and training. SharePoint 2010\InfoPath consultancy, configuration and support. Peter has been in the IT industry since the early ‘70s and the days of mainframes. He found his niche in the training world after several years’ experience as a programmer, analyst and support technician. Since then, his career has remained within the teaching and support environment with periods of classroom activity, course design and development plus several years in management positions with high profile companies such as Informix Software. Peters training business involves teaching mainly Microsoft products to include Windows, Access and VBA, Excel and VBA, Word and VBA, PowerPoint and Outlook. He has been involved in training roll-outs on both Office 2007 and 2010 for clients upgrading from Office 97.and 2000. In addition Peter offers training in Structured Query Language (SQL) on platforms such as SQL Server, Access and Oracle, he also has a strong database background and can provide training in database design. Sandy is an experienced trainer with many years of training starting in 1990. She ran her own business in South Africa for 6 years working in many different areas, from Corporate Companies to Colleges helping learners to develop their skills from introduction levels to advanced levels in IT. Sandy has now been living and working in the UK for 11 years, she presents herself very professionally and always delivers an exceptional course. Sandy has the amazing ability to adapt her training to suit the total Beginner or Advanced User on a course – either on a one to one basis, training at executive level or in groups from 6 to 20. A versatile and highly experienced training professional holding a wide range of qualifications from a Teaching PGCE to IT qualifications to include the Institute of IT Training’s e-Tutor Certificate and being a Microsoft MOUS Master Instructor. Additionally, Sarah has the ability to speak German fluently and French to a working level. Prestigious clients have included ICI, Iceland Foods, Dounreay Power Station, The Rullion Group, The University of Wales, York NHS Trust and The Planning Inspectorate. Sarah has huge experience in working with and developing an e-Learning strategy within the NHS. She loves working with teams to help review the IT Training provision within organisations and helping manage a blending learning project to including Training and E-Learning – her skills in this area are invaluable. Nicola works as a trainer specialising within the Microsoft Office environment training groups ranging from one to ten delegates. She trains using a comfortable, easy to understand and informative style. 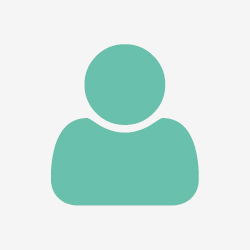 Nicola has a very personal and friendly approach adapting to all various types of queries. She is very professional and confident visiting customer’s sites to deliver floor walking, drop in surgeries and classroom training.